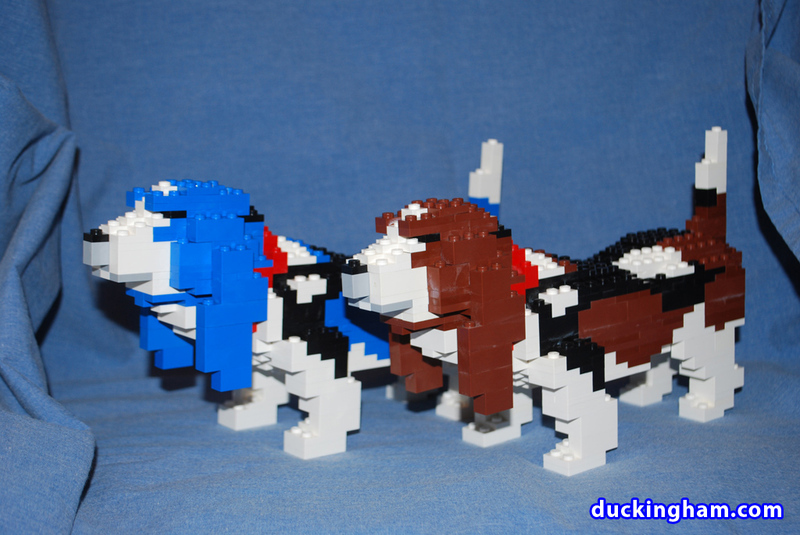 These LEGO Basset Hounds were a recent commission I did for someone who really likes Basset Hounds and was looking for a unique gift for his wife (who also really likes Bassets). 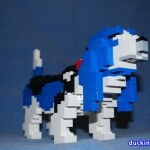 He was looking for something similar to the Basset out in front of the LEGO Store in Orlando, but not as costly to build. 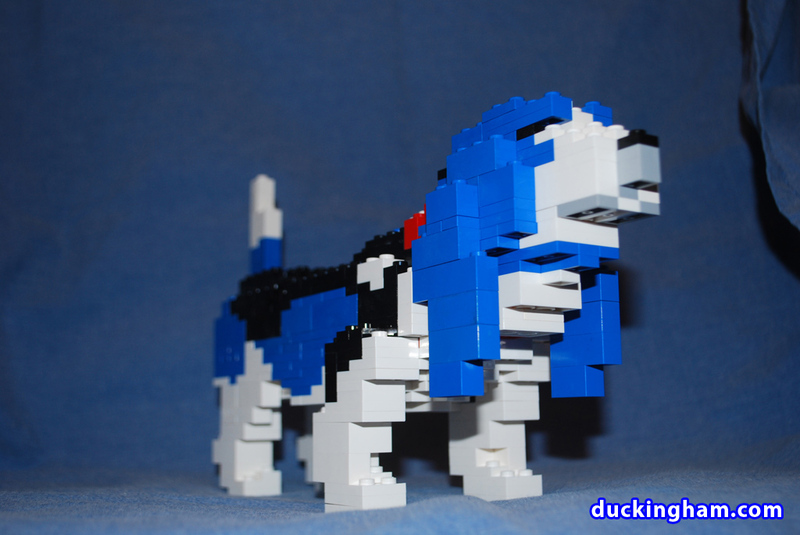 They are one-quarter the size of a real full-grown Basset. 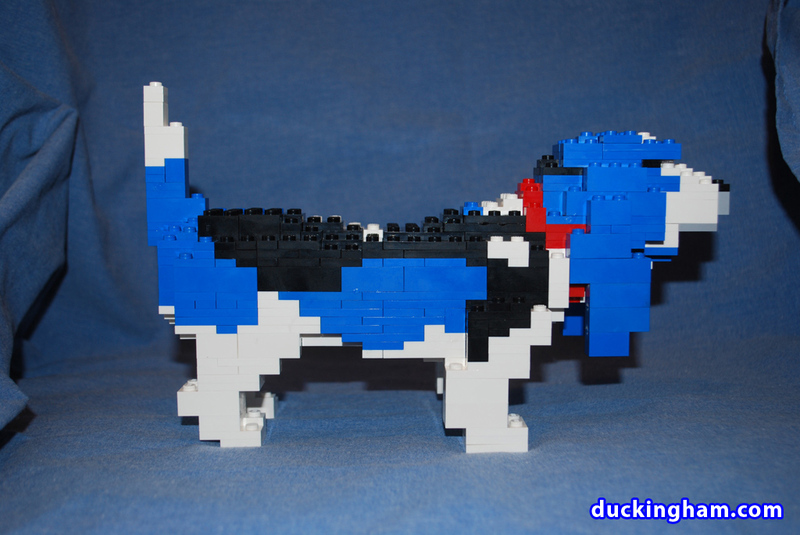 I’ve seen the display at the LEGO store; I’ve also seen the miniature version Dan Steininger made of those dogs (since he had several on display at the LEGO R2-D2 Store Event in Lawrenceville a couple years ago). 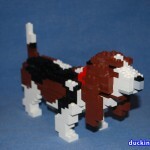 Dan had a miniature Basset there, and I had taken 1 or 2 not very good pictures. 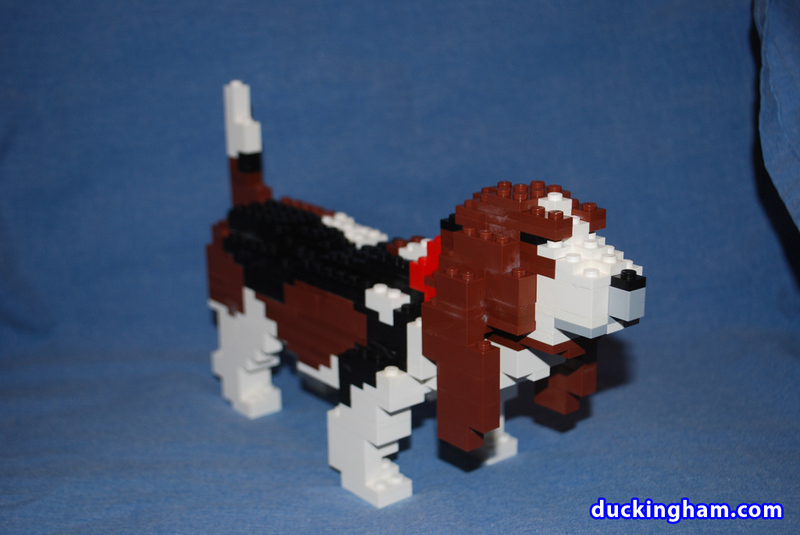 After spending a great deal of time poring over those pictures and comparing to pictures of the larger model (I don’t have any Bassets I know personally that I can work from ) I was able to build something similar. I was a little short on plates up front, esp. 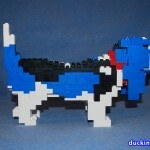 in brown, since most of my work to date has been exclusively with bricks, so I built my prototype in blue with old brick. 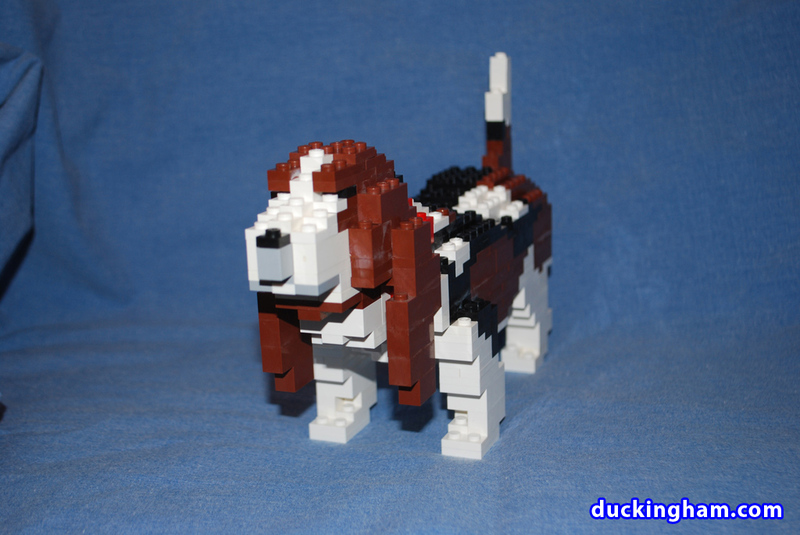 Once I was satisfied with a solid design, I ordered the remaining parts I needed to finish a brown Basset, then took pictures of the new one, with the original prototype. Well, the client loved both of them, so I had to scramble to put a new blue one together. 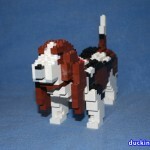 🙂 The images here are of the finalized bassets made of new brick, glued, and ready to ship.